There are plenty of short sleeve men's t-shirts out there. In fact, so many different styles are available that choosing the best one for you might be the only thing that makes purchasing one a challenge. But this Timberland Pro work shirt is different. Not only is ... (see full details) (see specifications) #TB0A1HOQ360. There are plenty of short sleeve men's t-shirts out there. In fact, so many different styles are available that choosing the best one for you might be the only thing that makes purchasing one a challenge. But this Timberland Pro work shirt is different. Not only is it loaded with lots of wonderful features, but it's also an unusual, eye-catching color, burnt olive green. 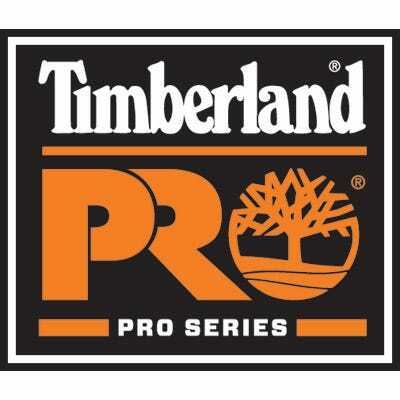 Yes, the Timberland Pro Men's TB0A1HOQ360 Burnt Olive Core Short Sleeve Shirt is in a color that's unlike your typical designs, but it's one that you'll love wearing to work or anyplace else. It definitely caught our attention, so we had to add it to our Working Person's Store online selection for you. You know that you're getting high quality just by looking at this men's olive green shirt. Yeah, you don't need to see a label to know you're getting a well-made garment, but it sure does help. First, notice the Timberland logo on the front of the short sleeve work shirt. This men's Core workwear carries a screen printing chest logo, so it announces Timberland's brand and quality, and the screen printing process gives it a crisp look and makes it durable for you. The last thing you want is a design that doesn't fit because it's way too small. It's happened before. You get a new men's tee shirt, wear it once, wash it, and after only one cycle in the washer and dryer, it shrinks! This is a major pain that doesn't have to happen, and it won't with the Timberland Pro short sleeve shirt for men because it's made to prevent that from happening. The reason for this is its pre-shrunk rugged cotton knit jersey fabric construction. Cotton tees are also prone to tearing. We know it, and we've had one too many bad experiences to have any patience for the garments. Many styles aren't made very well, and their construction and lack of superior construction highlight this. Even though it's just a men's work shirt, it's exposed to the same elements, prone to the same wear and tear, and just as vulnerable to being destroyed as any other garment. That's why the side-seam construction is so important for this Timberland Pro Core workwear. It reinforces the stitchwork on the sides of the shirt, the most vulnerable area at risk to tearing. You'll have a durable construction you can count on...finally! Aren't neck tags your favorite part about men's tee shirts? Don't you just love them? Sure you do! Everyone does! We all love those lovable, scratchy tags that dig into our necks. They're so great! Okay, so now that we've humored you, we can tell you about one of the best, subtle feature of this green short sleeve shirt. It has a tagless neck label, so you won't have to worry about that irritating label wreaking havoc on your neck. Sarcasm over. You'll also enjoy the knit rib collar. This collar is in a crew neck style, a classic look that looks great no matter what. This Timberland Pro Men's TB0A1HOQ360 Burnt Olive Core Short Sleeve Shirt from Working Person's Store is loaded with excellent little features that will make you want to get several to wear regularly. Place your order with us today! Timberland Pro Shirt: Men's TB0A1HOQ360 Burnt Olive Core Short Sleeve Shirt is being added to your cart.